Please this is for anyone and everyone. you dont have to be good at pinball and its an easy format. its for charity. 4 strikes brackelope format. definition= you play head to head from the get go. everyone's names and machine names are put into the computer. the computer randomly picks a machine and 2 players to play against each other. if you lose you get a strike. this format continues until you get 4 strikes (4 losses), then you are out. will use games from 1973 to current. $10 entry fee per person all goes to children's miracle network hurley hospital in flint. we will add these monies to the monies we have collected all year from the location coin drop from Interflip Dragon and donate 100%! Nice prizes for the top 4 players. we will also have Stern tops tournaments that will be that day only and end that night. those monies will be paid out to the winners as per normal. Of course, earn those IFPA ranking points for state of Michigan and national. 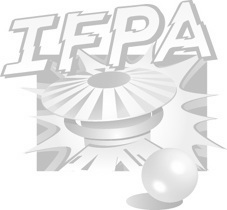 (www.ifpapinball.com). BRACKELOPE STARTS AT 2PM sharp. you can practice anytime as the machines are already there. everyone must be signed up and paid by 2pm when we start signing up people. We want to start promptly at 3pm. saturday dec 5th.